Just because the sun’s nowhere to be seen, doesn’t mean that you have to give up angling. Thanks to ice fishing, you can still enjoy the peaceful adventure of angling throughout the winter, even if the river or lake you typically catch fish from is frozen over. While some continue to fish during the winter out of love for the activity itself, others take it as a serious recreation, and thanks to recent technological advances and a growing body of knowledge around the sport itself, all types of anglers can now enjoy fishing all year long. Ice fishing books, even in the age of the web, can be some of your best sources of knowledge about angling in the cold. They're fantastic to read while lounging around a cabin fire or even while relaxing in the comfort of your home. The knowledge you’ll gain about this sport will go a long way in helping you catch fish all winter long. Whether you are new or experienced at ice fishing, there are plenty of books out there, but I’ve narrowed it down to 8 of the best that should fill the library shelves of every fisherman and woman. 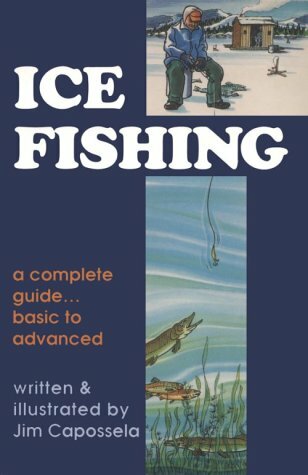 This book is an excellent reference for anyone who wants to try out ice fishing. It’s divided into different sections that cover a broad spectrum of topics and useful information on ice fishing. Through this book, you’ll find out what type of equipment is required, the best fish to look out for during the winter time, including in-depth information on each species and the best techniques to use in catching them. The book also contains some great tips and tricks on what type of rod, reel, and line you should go with, how to stay warm, what kind of specialty gear to purchase and how to use it. This book is a treasure-trove of ice fishing knowledge from some of the most experienced professional ice anglers in North America. Not only does it give you the tools needed to catch fish during the winter, but it’ll show you how to enjoy yourself in the process. It has been two decades that this book has been in publication. The advice contained within is timeless and still relevant for the modern angler. Although the focus of the book is towards beginners to intermediates, many experienced anglers still use it as a reference to refresh their knowledge on the best fish species to catch during the winter, their observed habits, as well as specialized tactics for each species. The book covers both technical and non-technical aspects of ice fishing, filled with tips that can only come from many years of ice fishing success. The intertwined sections help you to organically build-up the knowledge as you go along. 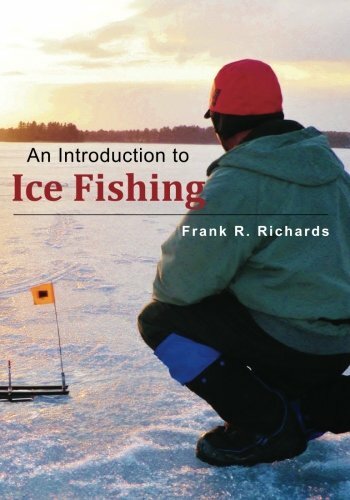 This book is an excellent resource for experienced ice anglers and a must-have for beginners. The author writes with authority and passion about a sport that he lives for, and that comes across in the nuggets scattered all throughout the book. The author provides comprehensive information on safety precautions to be observed when ice fishing, what to have with you to enjoy a comfortable fishing expedition, and all the gear required for beginners, intermediate and expert anglers alike. From the get-go, one can sense that this book approaches the subject of ice angling from a technological perspective, focusing more on the types of equipment available today, how it has evolved from the early days of the sport, and how to use it to your advantage on the ice. The book includes the latest in ice fishing rods, reels, apparel, devices, fish houses, heaters, snowmobiles and lots more. Of course, that’s not to say that this book is one-sided because it isn’t. 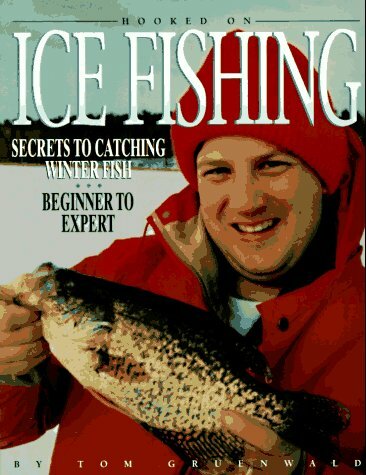 It also offers a great deal of useful information on ice fishing techniques, based on real-life examples that both newbie and seasoned anglers will appreciate. The best part is that Fishing on Ice will not only guide you on how to catch the most elusive winter fish species but also how to cook each of them! Now, if that’s not a comprehensive guide, I don’t know what is. 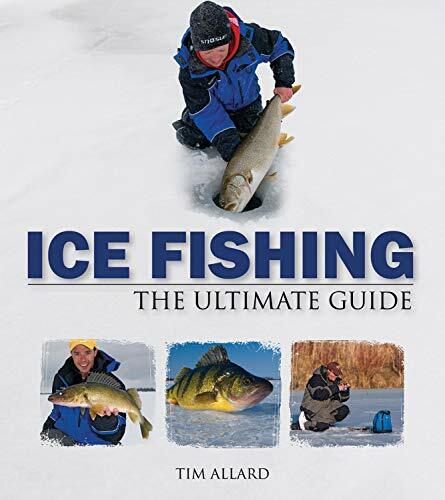 As the title implies, this book is more of an introductory guide to ice fishing, and as such, it features spectacular photographs to instruct, guide and inspire the novice angler. 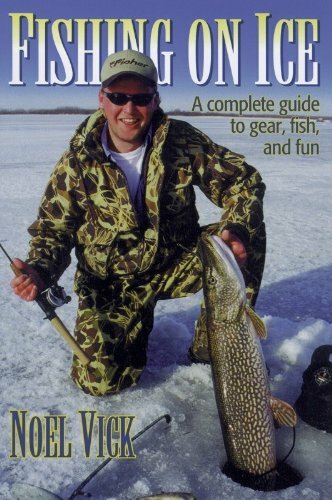 Some of the essential tips found in this book include different uses for tip-ups, what to consider when choosing a shelter, as well as an in-depth introduction on what to expect from different ice fishing locations, what type of fish they specialize in, and what techniques to employ in catching those fish. To summarize, this book provided a wonderfully organized and illustrated read accompanied by beautiful photographs that’ll make you feel as though you are already on the ice. 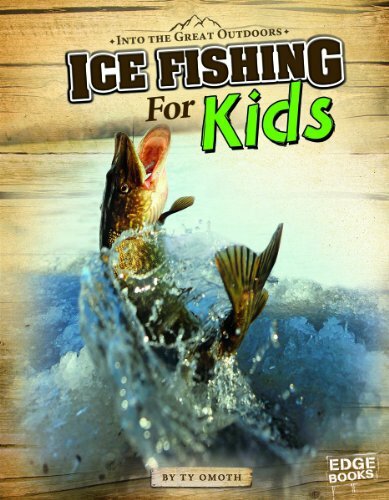 Give your kids the upper hand from an early age, and help them to learn more about the ice fishing sport that they love and enjoy, with this easy to understand Ice Fishing for Kids guidebook. It’s the perfect gift for your budding angler. It covers many topics from the type of gear required for ice fishing and the safety rules they need to follow, useful fishing techniques offered in a language that they can understand, as well as critical info on conservation rules and why it’s important to support them. Kids of all ages will love this book for the straightforward and fun way in which it presents valuable knowledge, as well as the compelling photos and illustrations that bring it all to life. The title Ice Fishing says it all. This book is one of the best ice fishing books ever to be published. It will teach you all you need to know about hitting the ice. The author uses language and terms that can be easily understood by you the reader. As the name implies, it’s a complete guide and one, which is timeless for both novice and seasoned anglers. While it mainly focuses on the NYC reservoirs, you can use these tried and tested techniques virtually anywhere. You’ll learn what the best techniques to use in catching a wide variety of fish species are, the best places and times in which to find those species, what their habits are, what gear to use for each, and much more. Every winter, a plethora of seasoned anglers mine the pages of the book for the author’s timeless knowledge, just because it’s the type of book from which you can learn something new every time. If you’re looking to catch big game fish this winter, then you should add this handy guide to your arsenal of tools. 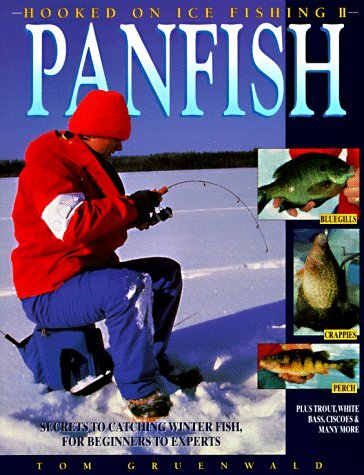 It’s mainly aimed at providing you with proven strategies for catching winter panfish, trout, perch, crappie, bluegill and other large fish species specifically. 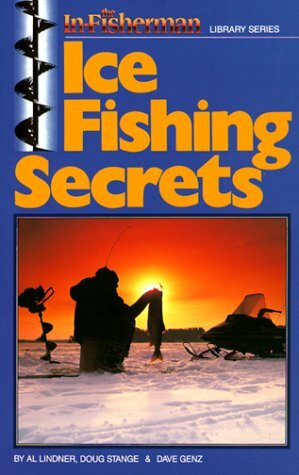 It also contains secrets from some of the most successful ice fishing anglers alive. While the novice angler is the focus of the first few chapters of the book experienced anglers will find the rest of the book to be an indispensable guide. An ice fishing guidebook is an essential companion to have with you on the ice. Not only does it provide you with tried and tested ice fishing techniques from some of the best ice anglers in the world, but it’s also packed with unexpected nuggets, tips, and tricks on how to get the most out of your fishing expedition. If you haven’t yet, grab a copy from one of the books on ice fishing we’ve featured above. If you already own a few guidebooks, then add another one to your collection and give yourself an upper hand the next time you hit the ice!